I was excited to receive this book because I love cats and there’s something very special about the ZooBorns series. Although I’m not an advocate of all zoos, the remarkable work that many zoos undertake to try and support long term conservation of species is both admirable and important. 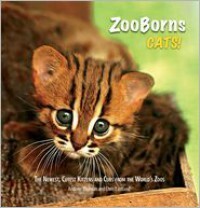 ZooBorns books offer an excellent opportunity to spread the word about zoos and the conservation programs but also to showcase some of the beautiful animals. The authors behind ZooBorns Cats! 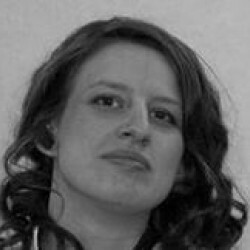 are Andrew Bleiman, who is described as “as a lifelong animal nerd who [...] also runs Zooillogix.com, a bizarre zoology news blog on the ScienceBlogs Network” and Chris Eastland, “a classically trained artist and photographer, who studied and taught at the Charles H. Cecil Studios in Florence, Italy”. They certainly make an impressive pair if this work is anything to go by. The photography in ZooBorns Cats! is beautiful with the various character traits of cats caught superbly. Every page shows something different: defiance, shock, surprise, naughtiness, bravery, curiosity. It’s wonderful to see that these babies seem to be simply larger versions of the domestic house cat in so many ways. Yet it’s also very obvious that these animals learn quickly – much more quickly, in fact, than your average domestic cat. There’s a sharpness in the eyes, a real sense of awareness that goes beyond play and a definite aura of ‘Hey, I’m playing but don’t think for one minute I’m not aware of you buster’. This is a lovely book and will be a great addition to anyone’s bookshelf or coffee table. Please note: I received a copy of this title from the publisher in exchange for my review. All opinions are entirely my own.